off Marion County Road No. 6035. 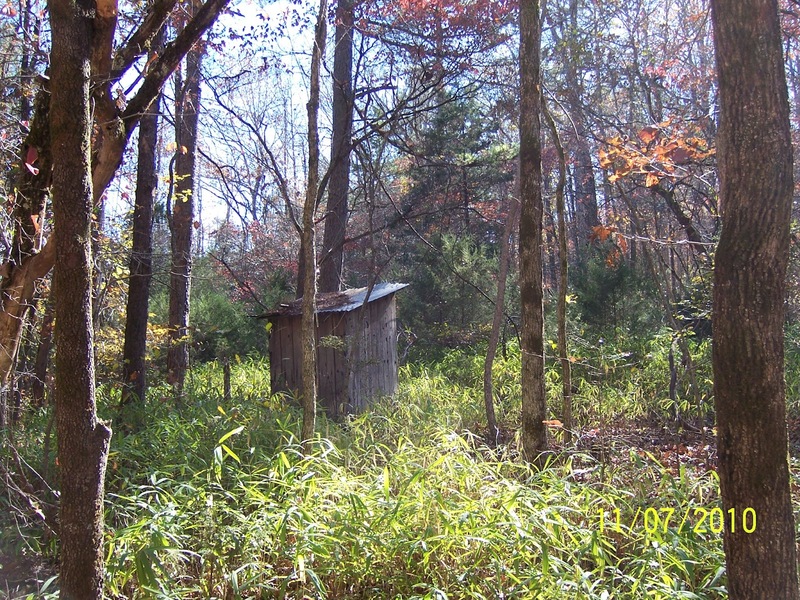 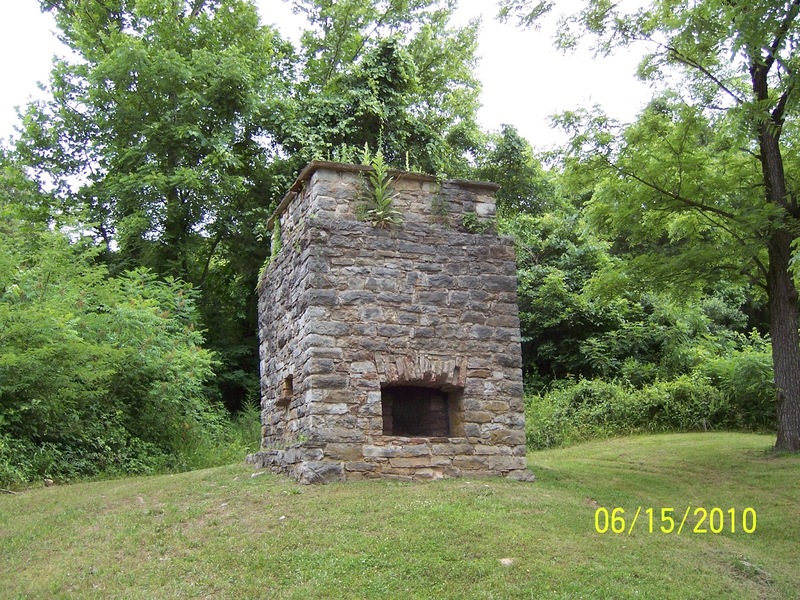 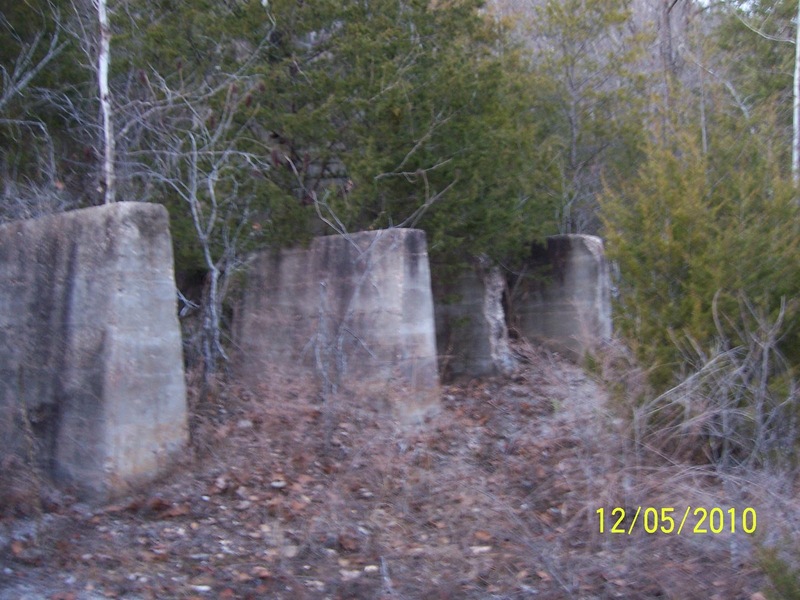 The "Rush Historic District", so designated by the National Parks Service, is located about 12-14 miles South of Yellville off State Highway 14. 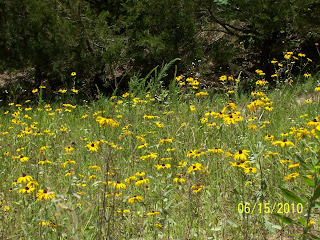 Turn on Marion County Road 6035 off Highway 14 and follow it to the end, about 5 miles, to Rush. An interpretive sign for the Rock Smelter. 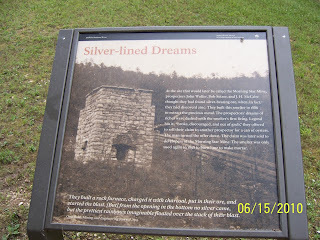 Prospectors discovered what they first thought and hoped to be silver in the hills along Rush creek in the late 1800's. 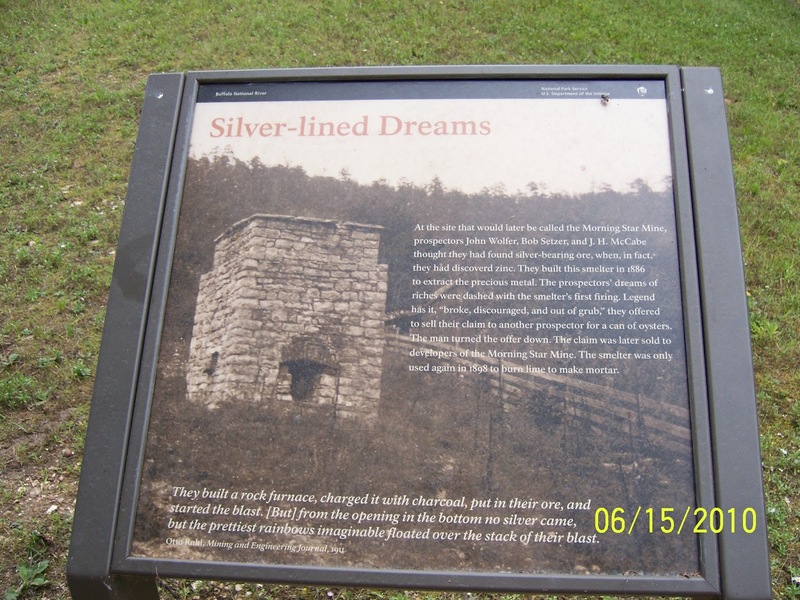 They built a still-standing rock smelter in 1886 to extract the silver. Instead of the silver they hoped for, they instead found zinc carbonate ore, and plenty of it. 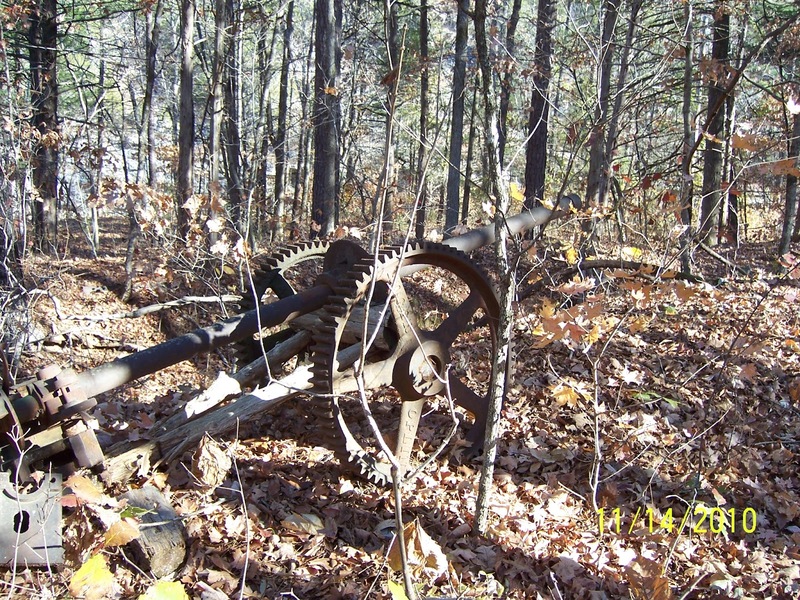 Many mining companies sprang up in the area to extract and process the zinc ore. 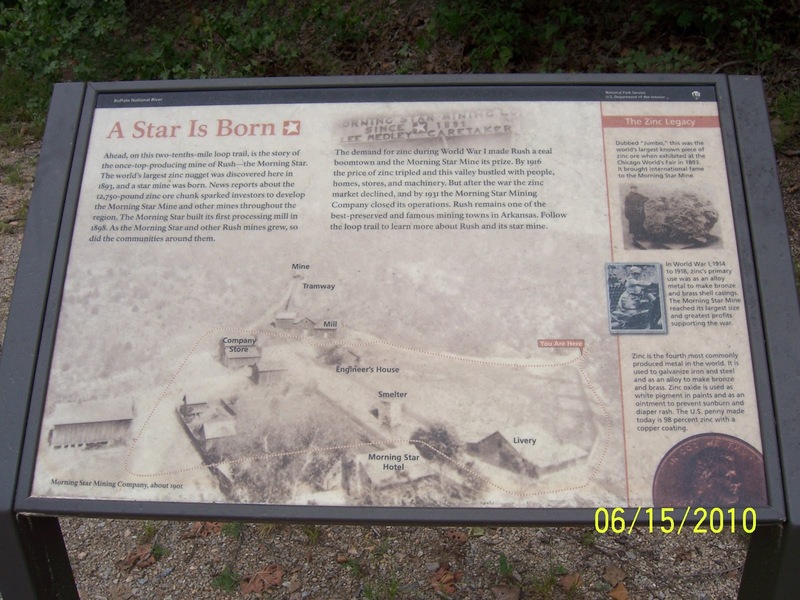 Probably the most famous of these was the Morning Star Mining Company. 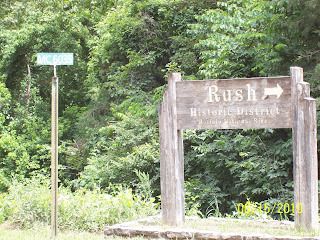 The little town of Rush was founded on the banks of Rush creek, about a mile upstream from where the creek runs into the Buffalo River. The old general store at Rush. Another view of the ore processing mill foundations. 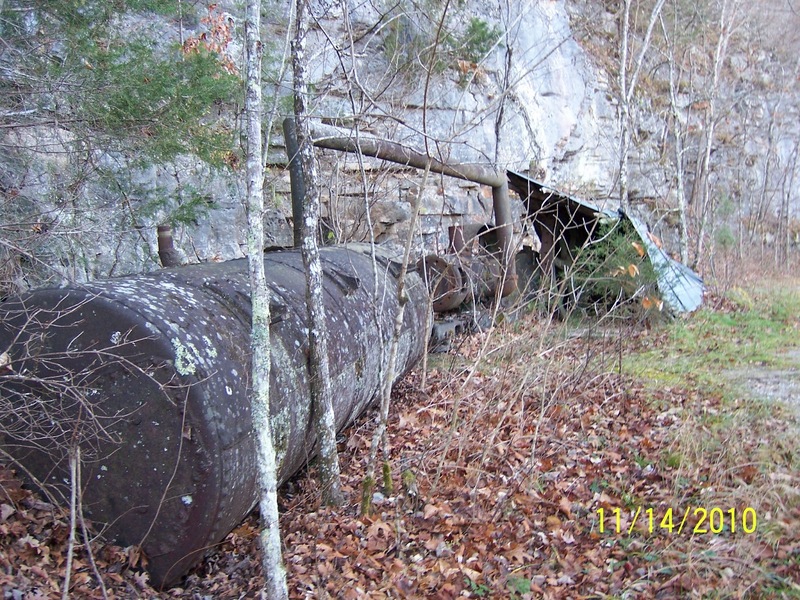 of the Morning Star Mine Processing Mill. 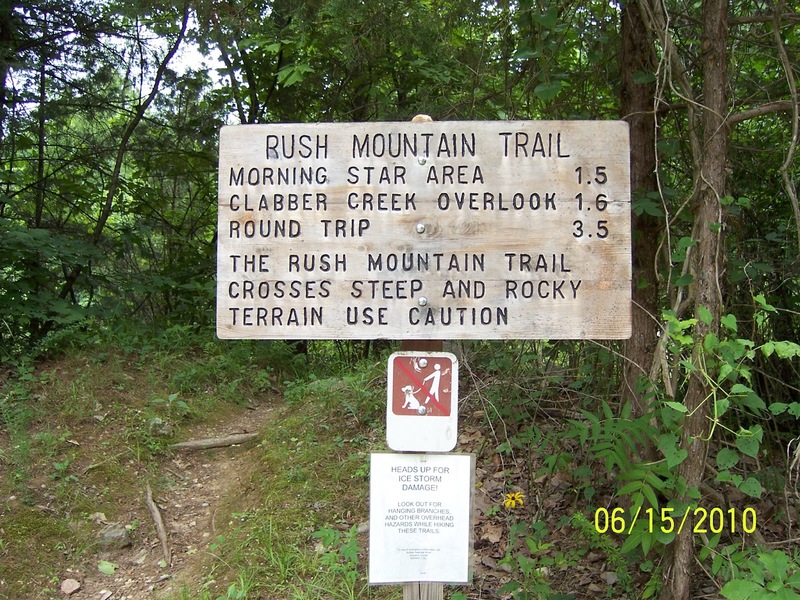 Trailhead for the Rush Mountain Trail. 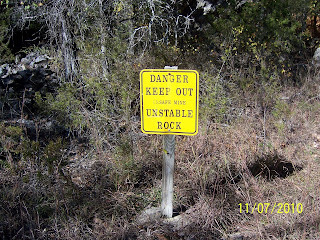 Another interpretive sign on the hiking trail. 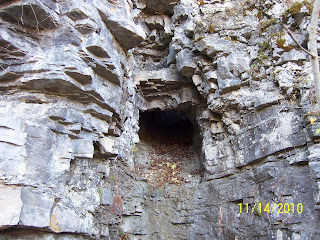 Entrance to one of the mines on the hiking trail. 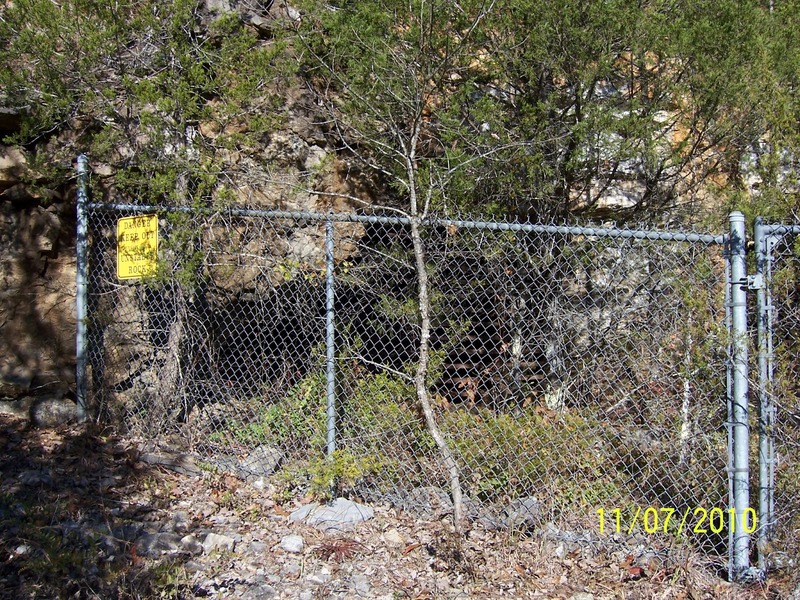 Most of the old mines are fenced. The mines are posted with warning signs. the side of Rush Mountain on the mine level hiking trail. 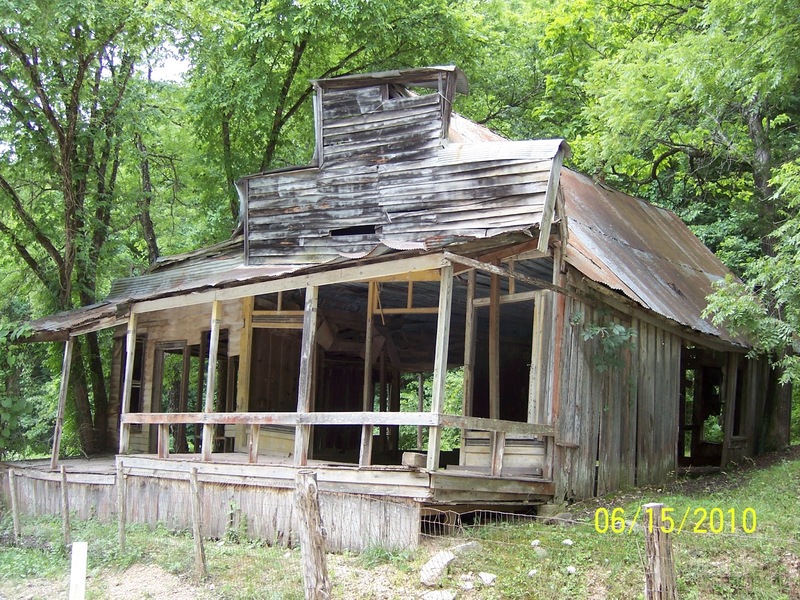 The population of Rush rose and swelled with demand for the zinc. At its peak during World War I, the Rush community had a population of around 5,000 people. After the war, the bottom fell out of the zinc price. 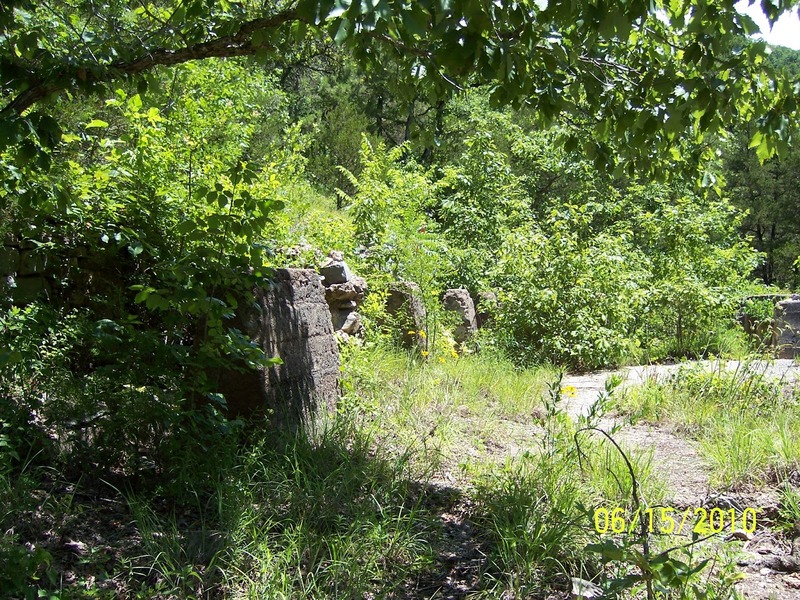 Most of the mines closed, and much of the town was abandoned, including an area downstream closer to the river that was called "New Town". 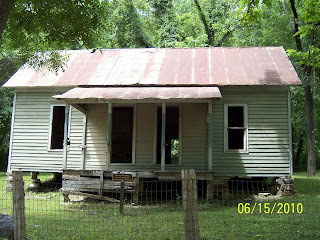 The post office closed in the 1950's, and by the mid 1960's the last resident was gone. 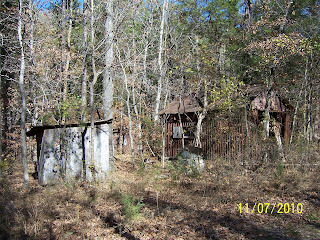 Abandoned buildings along Clabber Creek. Another abandoned building near Clabber Creek. 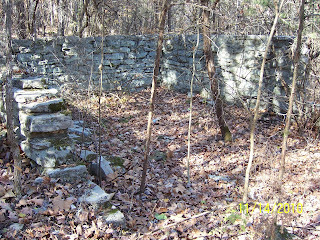 Overgrown foundation along Rush Road. 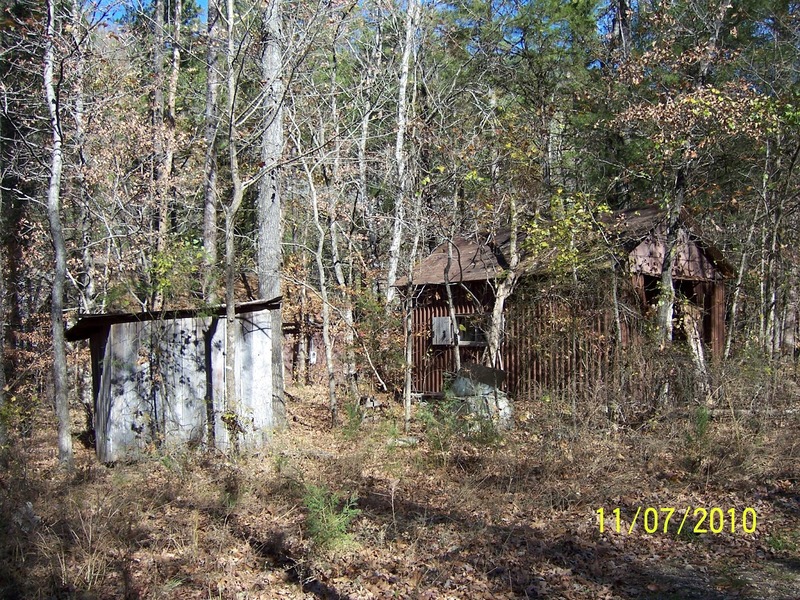 "New Town" near the Rush Campground. 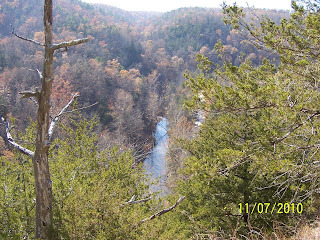 The Rush area was incorporated into the National Parks System in 1972 when the Buffalo National River Park was created. 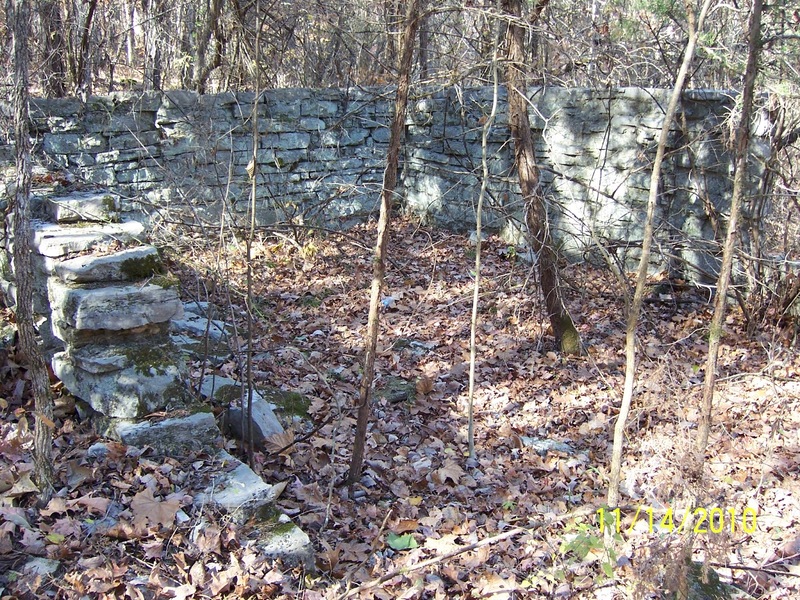 Today, visitors will find the remains of several old buildings along Rush Road. Arson has claimed at least two of the old buildings. 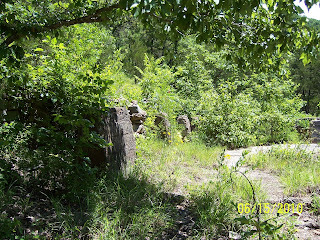 There is an interpretive loop walking trail around where the former Morning Star Mine Processing Mill once stood. Another trail goes up the mountain to the mine level. The trail takes you past the openings to several abandoned mines, all of which are barricaded. 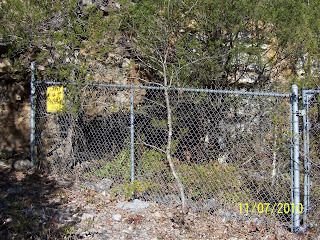 After reaching the mine level on the side of the mountain, there will soon be a spur trail branching off to the left that goes further up the mountain to a second level of mines. 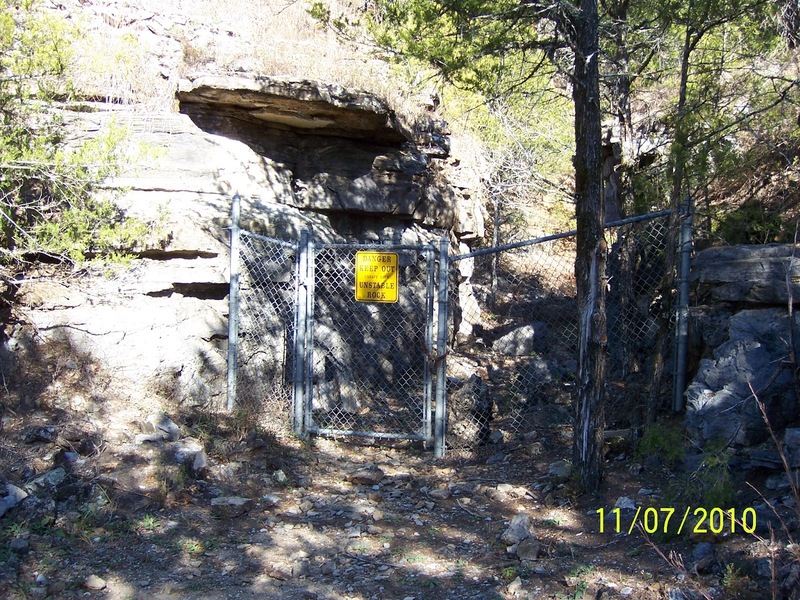 This spur trail has now been blocked off. 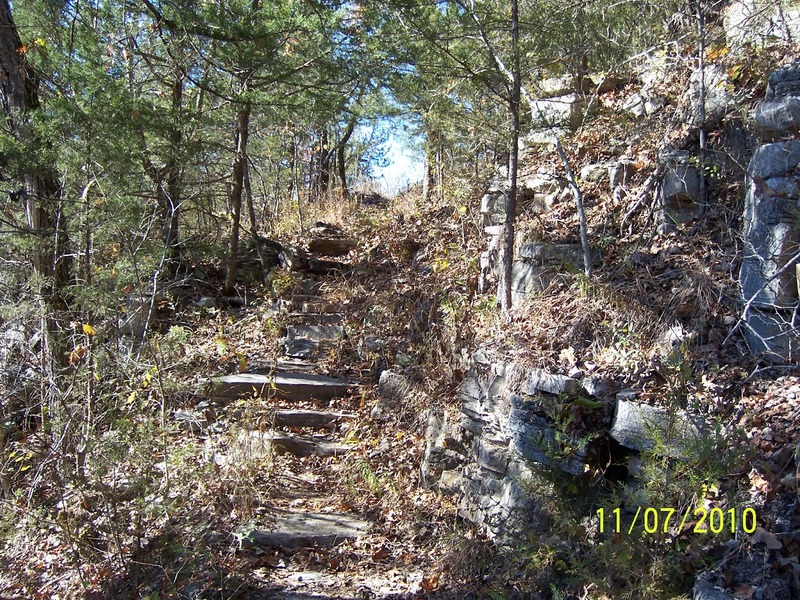 The main trail, parts of which are narrow, steep, and rocky, continues on through the woods for about 2 miles. 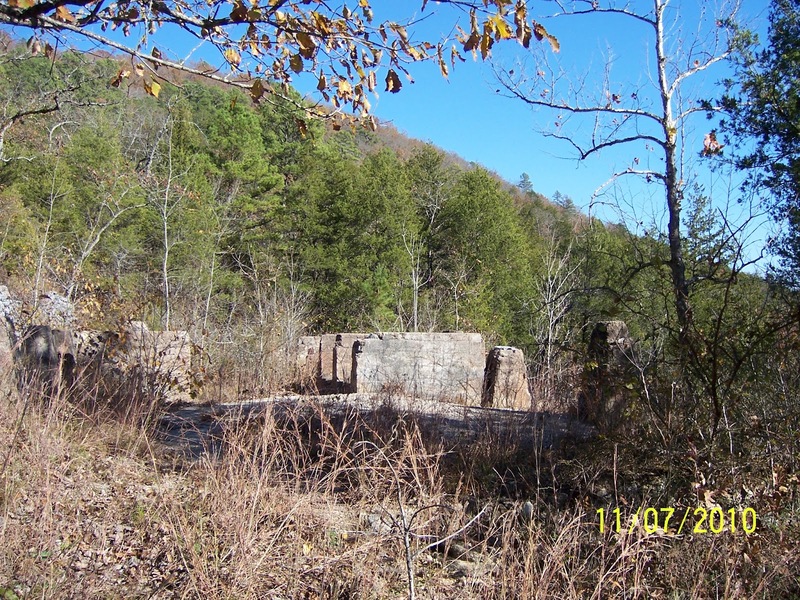 This will take you around the back side of the mountain, parallel to Clabber Creek, to where the Monte Cristo Mine is found. 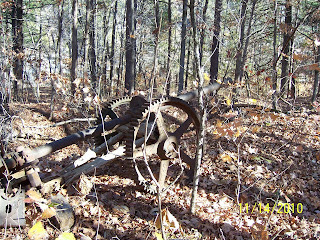 Rusted, abandoned equipment along Clabber Creek. 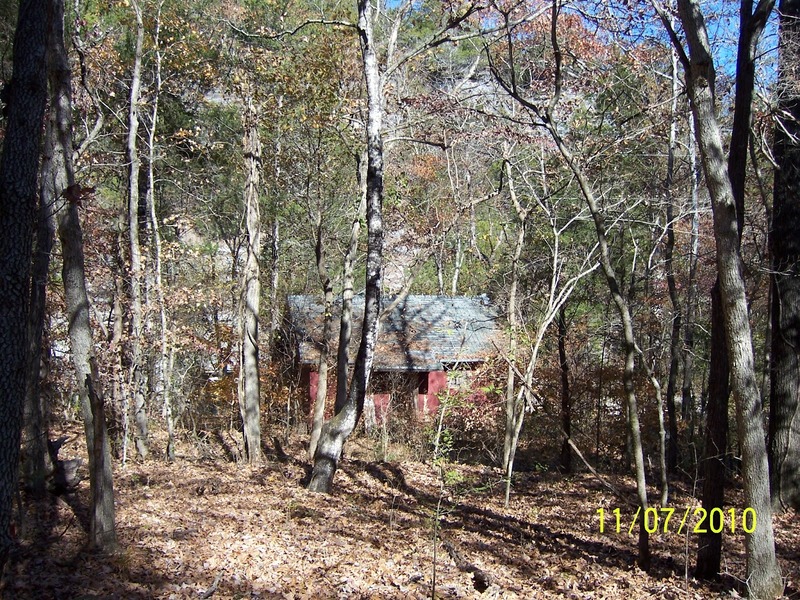 which is located on the back side of Rush Mountain. 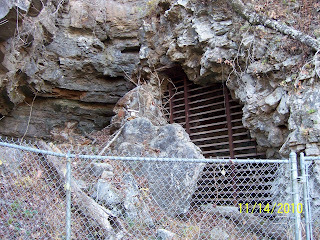 One of the main entrances to the Monte Cristo Mine. Another shaft to the Monte Cristo Mine. 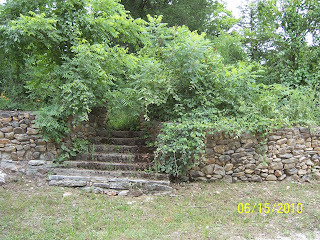 from the Rush Landing access area. The former location of "New Town" has now been made into a primative camping area on the banks of the river, with the Rush Landing river access nearby. 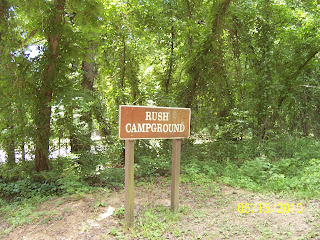 Rush Landing is the last opportunity canoeists have to take out before entering the Lower Buffalo Wilderness Area. There are no other public access points for the next 25 or so miles until the Buffalo National River joins the White River near Buffalo City in Baxter County. the banks of the Buffalo National River. 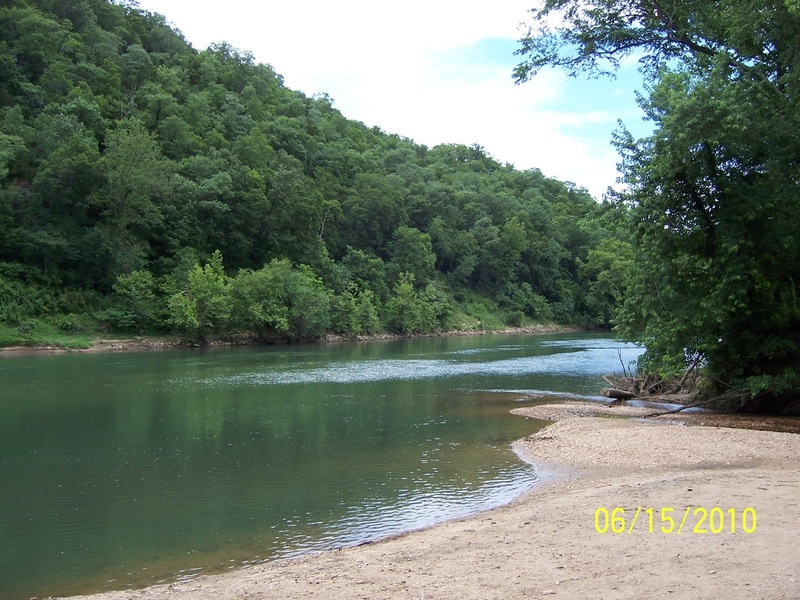 The Buffalo National River looking downstream. 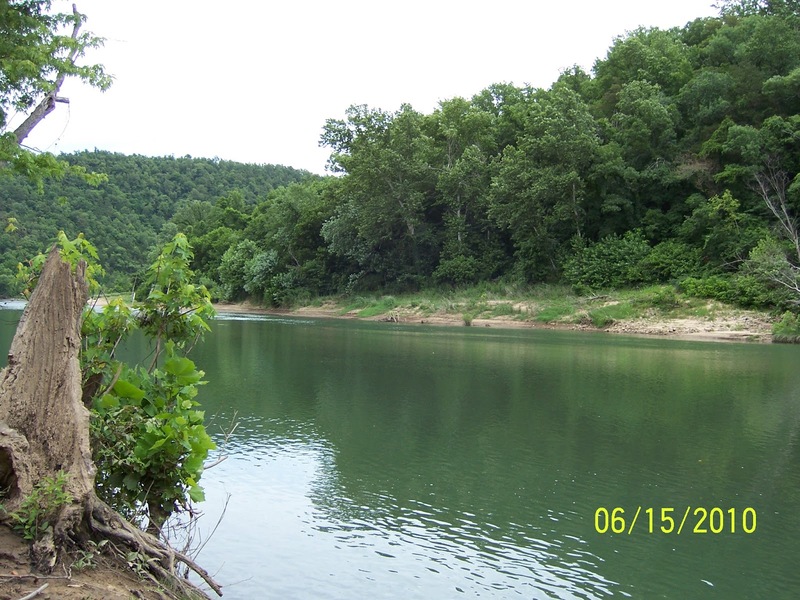 The Buffalo National River looking upstream. If you like to hike, camp, and explore along the river, then Rush has a lot to offer. 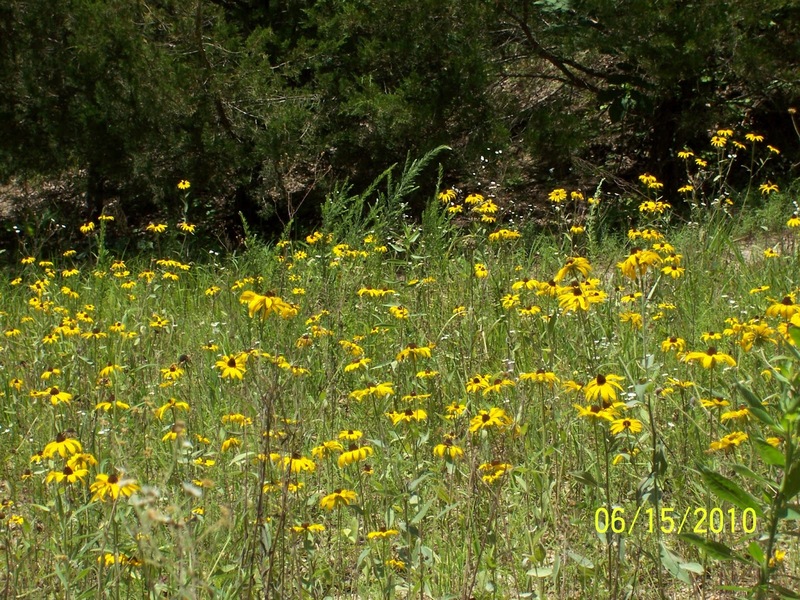 So nice and so good presentation. 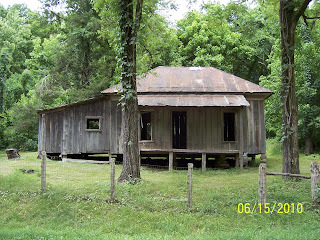 I love your post because people feel happy after visiting this place..Really welcoming post... 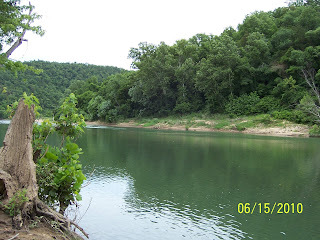 I have got an information regarding Buffalo River from this blog.. thank you too much..